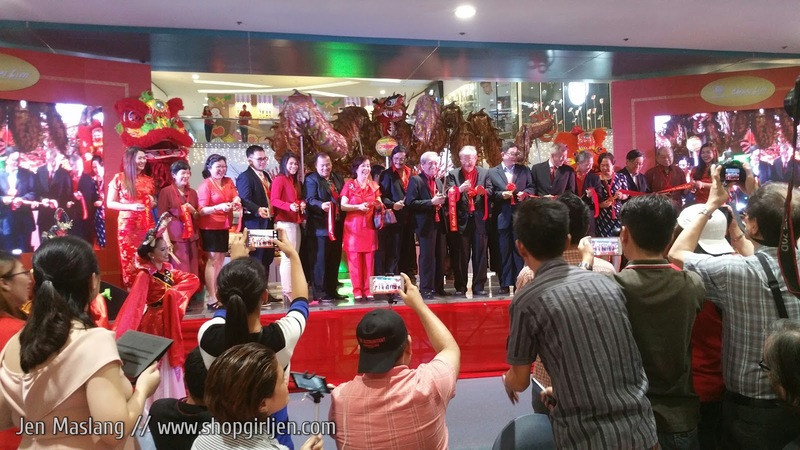 A week ago, Chan Lim celebrated his 80th birthday with a bang! 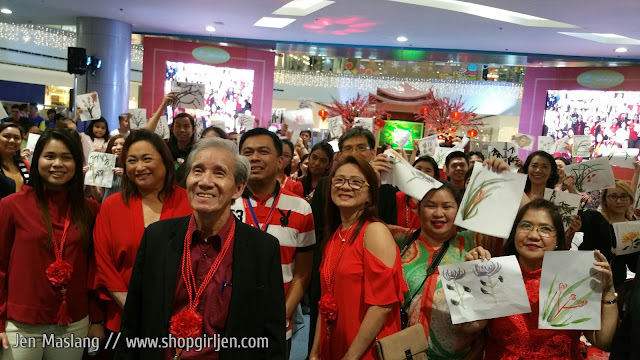 He celebrated the momentous event highlighting 300 artworks done in porcelain plates, scroll and oil paintings by 43 talented artists at The Block, SM North Edsa. Chan Lim Family of Artists and Students invited a wide variety of media to try their hand in brush painting. 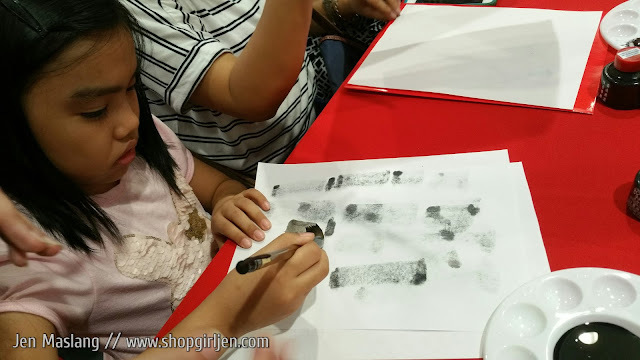 I was able to bring Sofi at the event and she had her first informal lesson with different brush strokes. 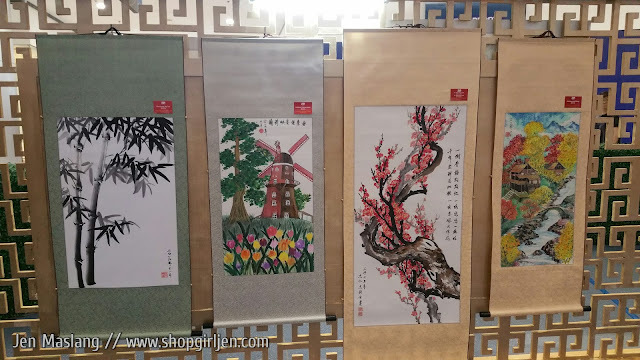 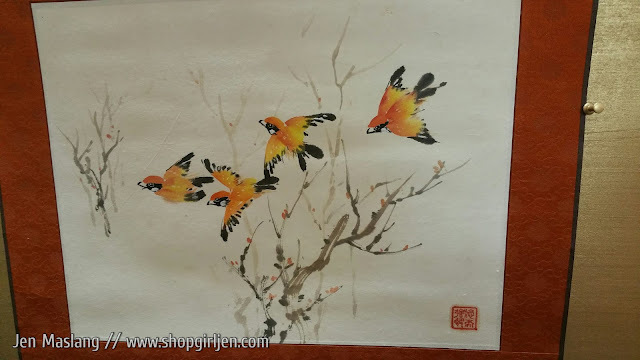 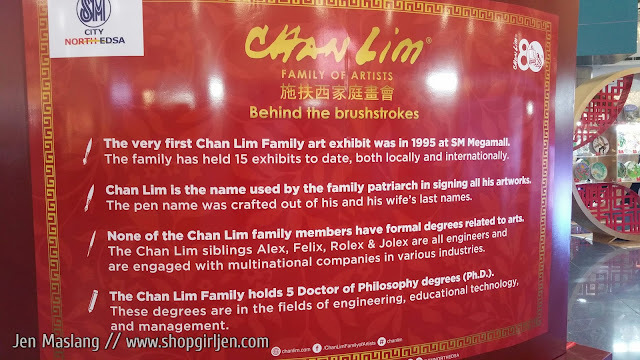 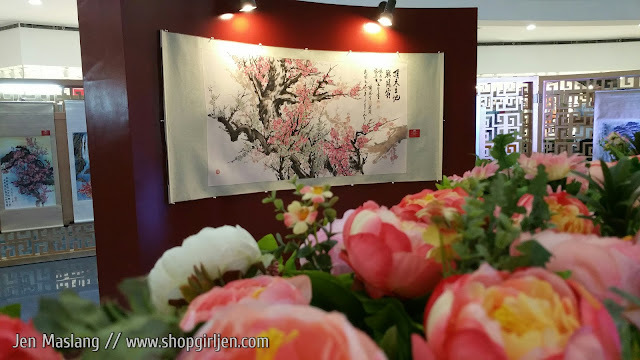 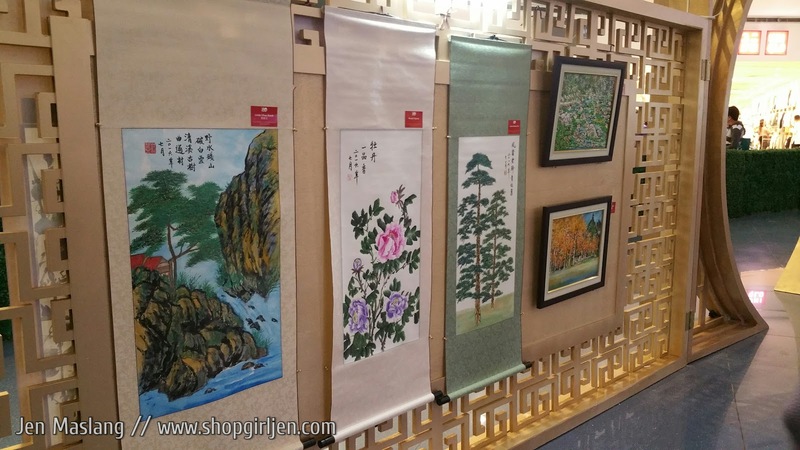 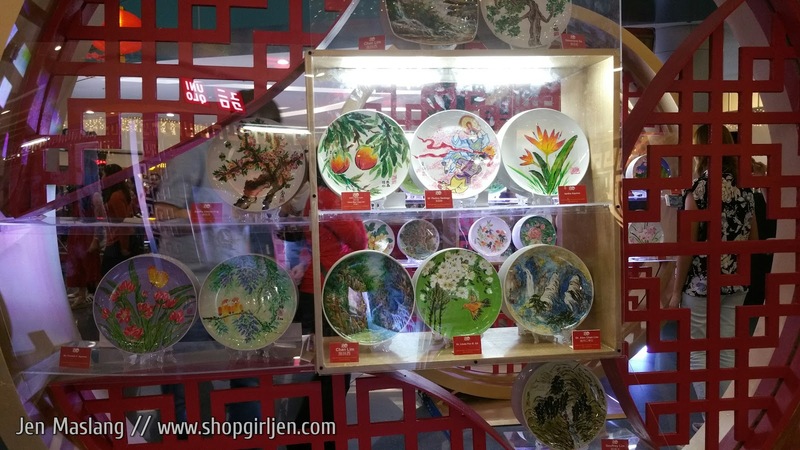 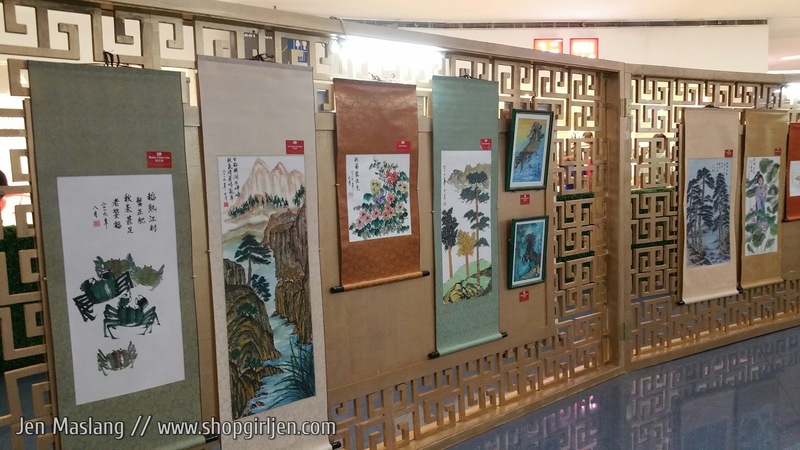 The Chan Lim Family of Artists has been engaged in the arts for so long and they already have three generations of Chan Lim artists who are still involve in the arts by actively developing and promoting Chinese brush painting here in our country and abroad. 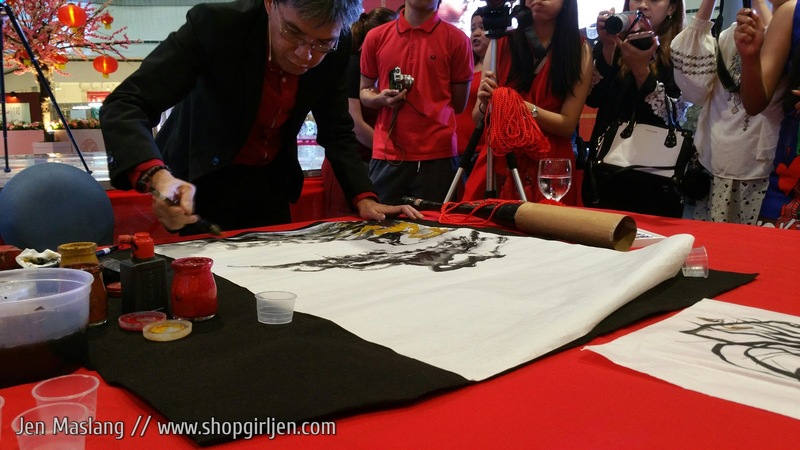 The Chan Lim also support various charitable organizations with a special focus on environmental sustainability. 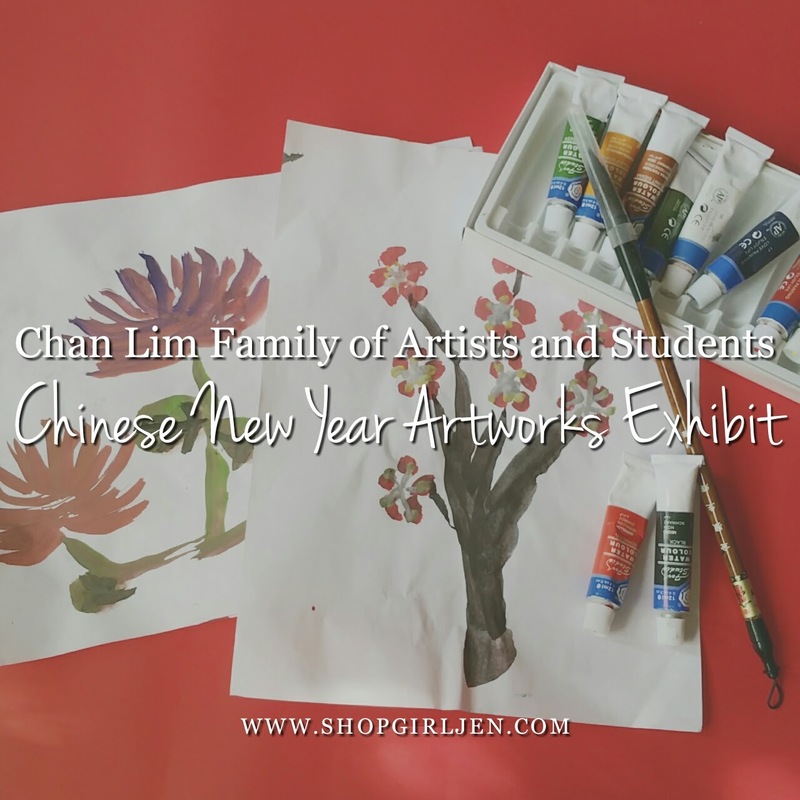 The Chan Lim Family of Artists has conducted numerous art classes, workshops, seminars and on-the-spot painting demonstrations. Art classes are conducted in the family studio located in Pasig City. 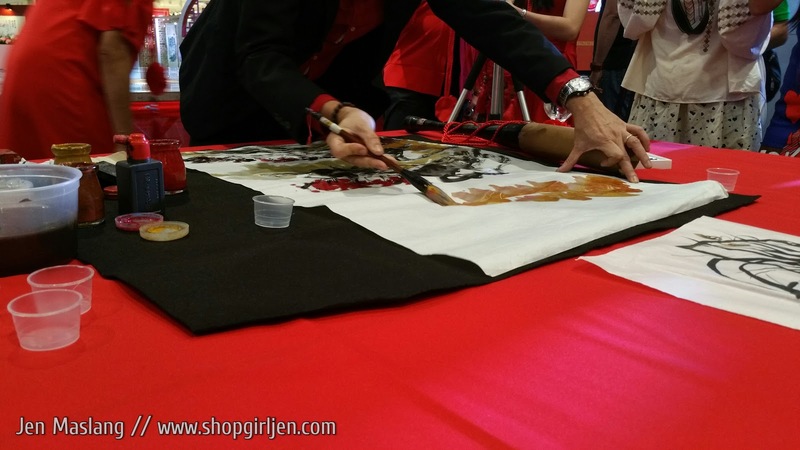 Sir Alex demonstrated to us the power of brush stroke. 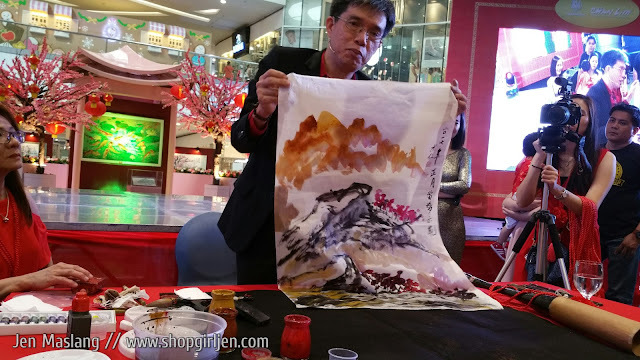 He showed us his artwork done in less than 10 minutes! 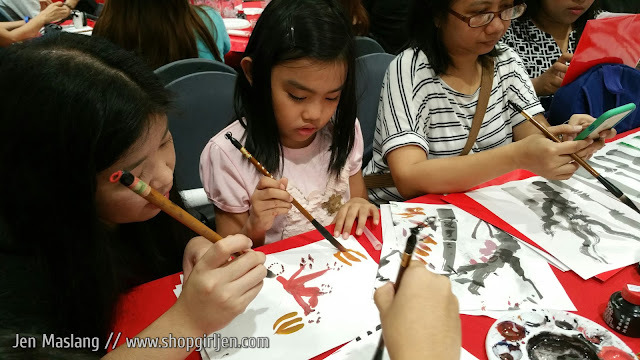 During the event, Sofi and the rest of the invited media had an on-the-spot art activity where they were taught by students of Chan Lim. 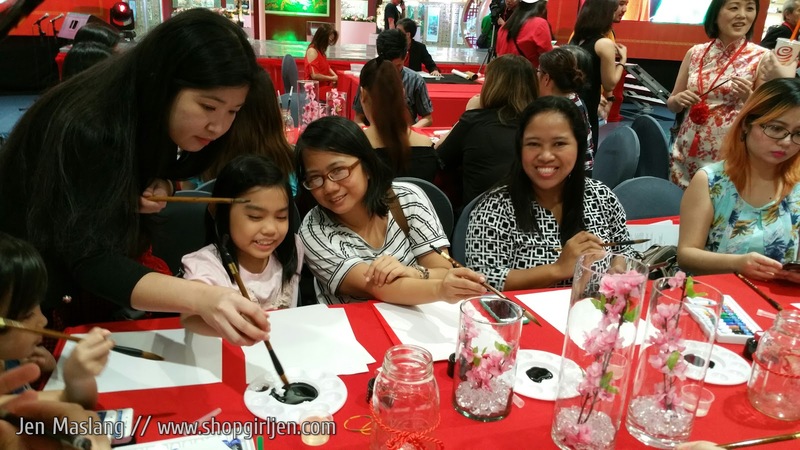 Sofi enjoyed learning different strokes and techniques in paint brushing. 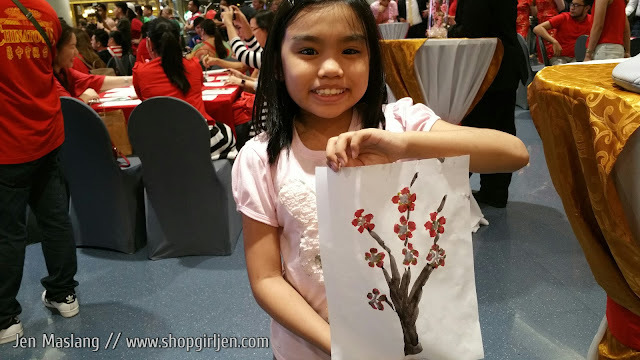 Sofi proudly showed us her artwork with the help of a teacher. Mr. Chan Lim with the rest of the media and their artworks. Mr. Chan Lim, actor Robin Padilla, SM Executives, The Chan Lim Family formally opened their artworks exhibit at The Block, SM North Edsa. Thank you The Chan Lim family for having us. 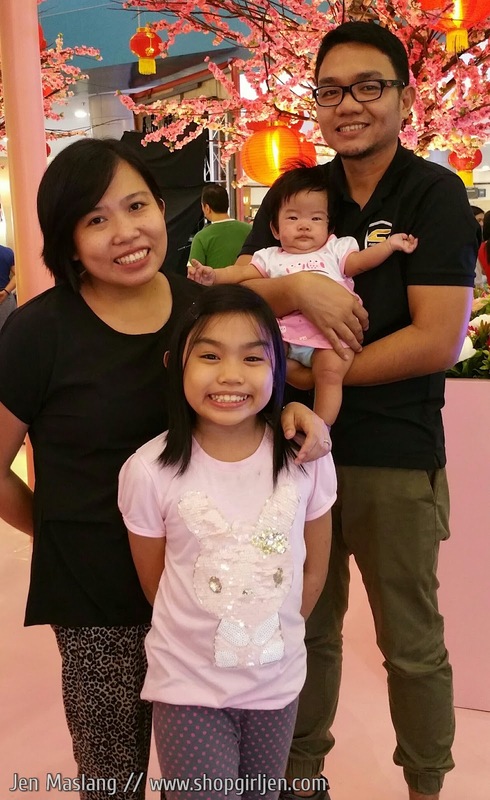 We can now witness the majestic exhibit at The Block, SM North Edsa up to February 12. Take part in celebrating the Chinese New Year by admiring #ChanLim's different form of artworks.